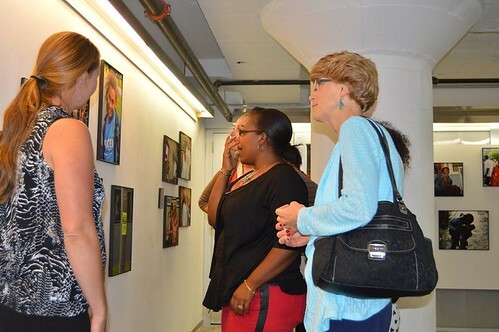 The Stand's summer storytelling series' final photo exhibit for From Where We Stand participants was held Thursday, Sept. 11, 2014, at the Link Gallery in Syracuse University's Cantor Warehouse in downtown Syracuse. 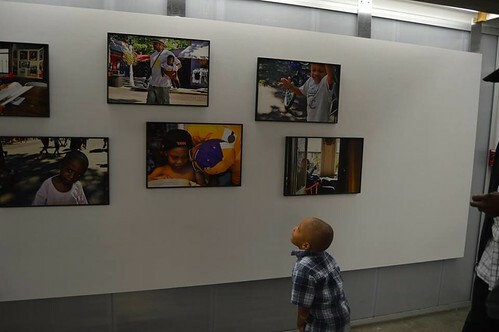 Brenda Muhammad's grandson looks at his grandmother's photo display, including two images featuring him, during the opening reception held Sept. 11, 2014. Attendees at the From Where We Stand opening reception view The Rothwell's collection while Karaline Rothwell, far left, looks on. Nick worked at The Post-Standard for 26 years and has taught photography for 22 years at the college level. 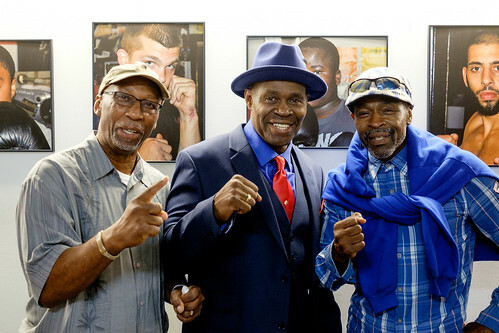 He currently teaches high school media students at the Institute of Technology at Syracuse Central. Ardena is an aspiring entrepreneur, single parent and recent graduate of Syracuse University raising two young and determined teenagers. Read about the other teams here, or on the HOME page, where each team has a featured page. Local station WCNY is offering special assistance on this project.